The first phone call I received was from Russia. After witnessing on TV the catastrophes of September 11, 2001, my friends and business partners were calling to share their shock and advising me to “stay inside.” New York, and certainly Moscow, seemed far away—but not anymore. It was all one world. Now, ten years later, we still mourn the tragic losses in the terrorist attacks in New York, but also we have moved on and must recognize the resulting opportunity and its effects. It was, in a way, a loud and tragic reminder of ongoing global social change. “In the middle of difficulty lies opportunity.” wrote Einstein. How have we responded to that opportunity? 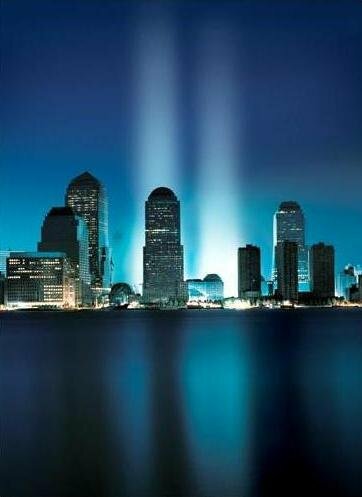 The fall of the Twin Towers was a fire that shaped a generation of American youth and shook us all with the fact we are globally one people and that dividing borders are melting away. The American youth learned they were not alone in the world, that other cultures were there to discover and understand. Study about or in the Middle East has grown rapidly since then and Arabic is being learned by many. But, the most important realization is how valuable we are to each other. The meaning of “united we stand” has taken on greater meaning—witness the great citizen help in natural disasters as well as planned ones. And this reaches across borders, ethnic and religious walls, and tends to unite us all as part of the greater human family. Americans knew at once of the tragic crash in Russia that killed the Yaroslavl ice hockey team and they openly expressed their sorrow. It is a growing sense of brotherhood and trust that is knitting us all together. Underlying all this is a growing sense of the value of forgiveness. If we, as victims or friends of victims can lift our thoughts above the mists of hate and revenge, of fear and insecurity, we all benefit. Leo Tolstoy said it, “Let us forgive each other – only then will we live in peace.” With a sense of gratitude for the opportunity to grow out of disaster we become stronger and better people.